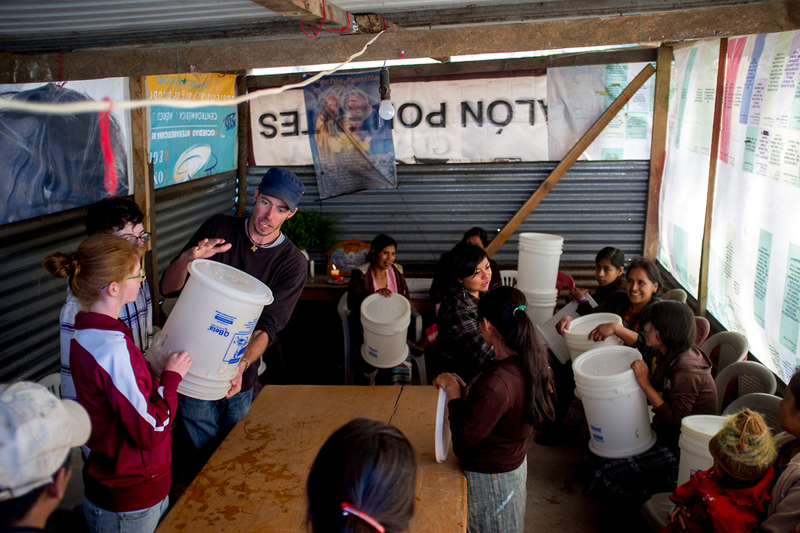 Mission Guatemala volunteers work to change water filters fo the familes of Chutinamit. The village was relocated to its current location after Tropical Storm Agatha in 2010. The residents are still living in transitional housing three years later.